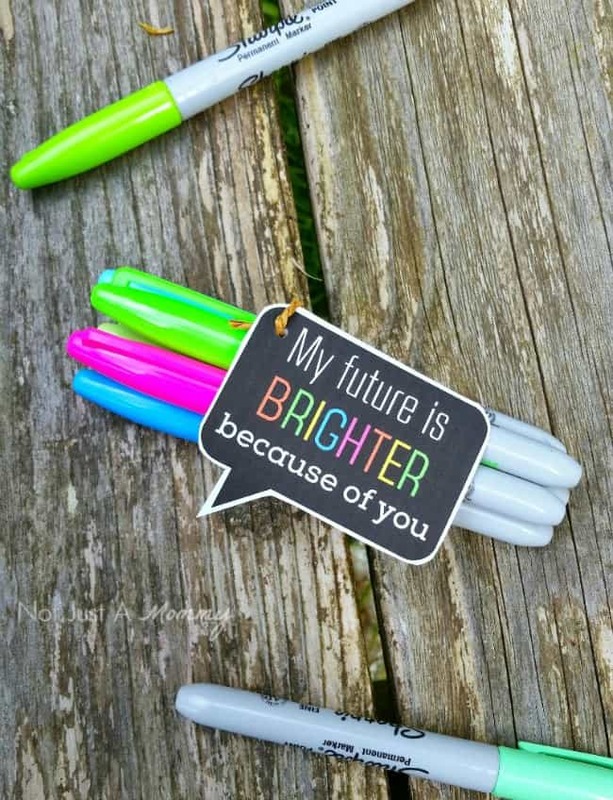 These free teacher appreciation tags are courtesy of our contributor Dawn…Last year, I created graduation favor tags to coordinate with my Headed For A Bright Future Graduation Party. Since the tags are so popular and it’s Teacher Appreciation Week, I decided to create a version to celebrate our hard working teachers! 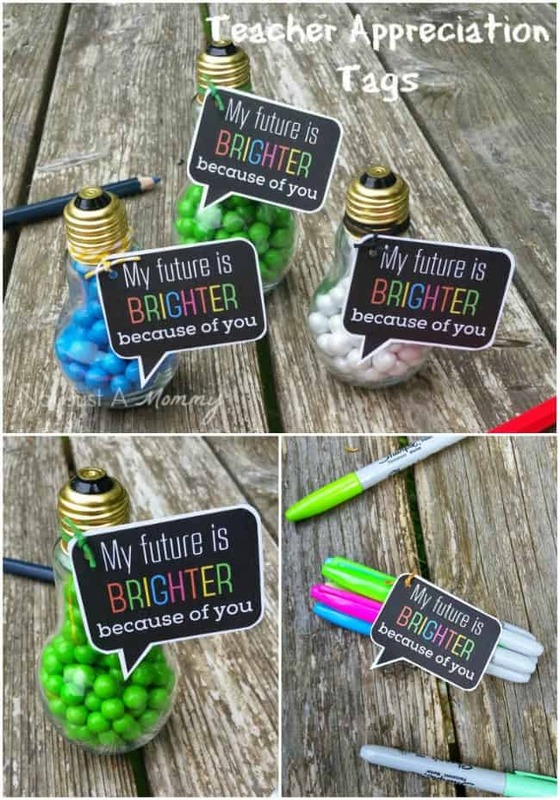 The fun light bulb jars are from Hobby Lobby; fill them with candy, glitter, confetti, whatever you think the special educator in your life would love! It will look lovely sitting on his or her desk. At Hobby Lobby, they now have then in two sizes, the bottle with the green candy is taller than the other two. Would your teacher appreciate school supplies instead? Tie tags onto markers, colored pencils or crayons. Is she more of a gardener? Attach basket of garden supplies or print tags on sticker paper and attach to a vase of flowers…the possibilities are endless! 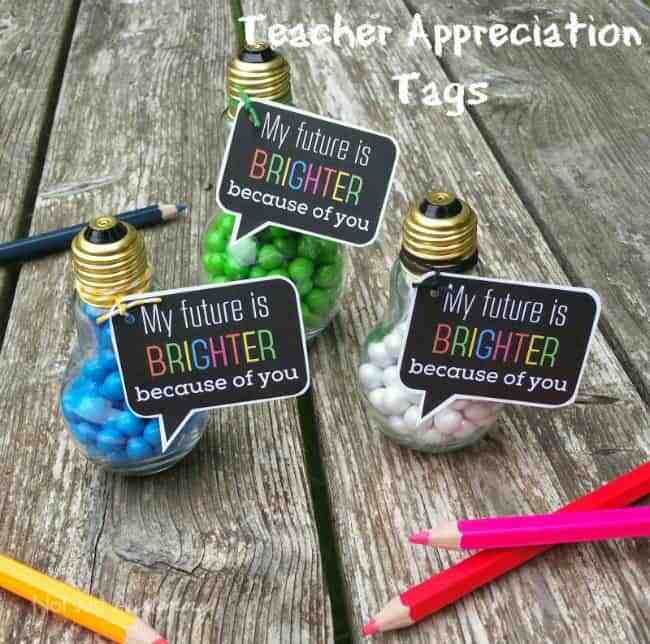 Click here or on the photo to download the free teacher appreciation tag file and bring a smile to your favorite teacher! 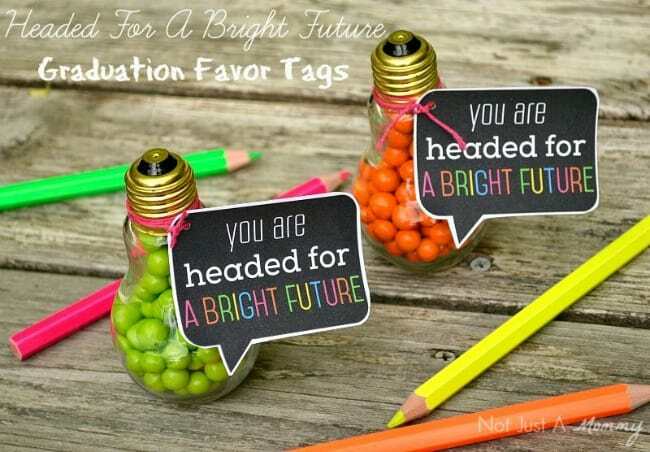 If you have a soon-to-be graduate in your life, head over to my blog to download my graduation favor tags. 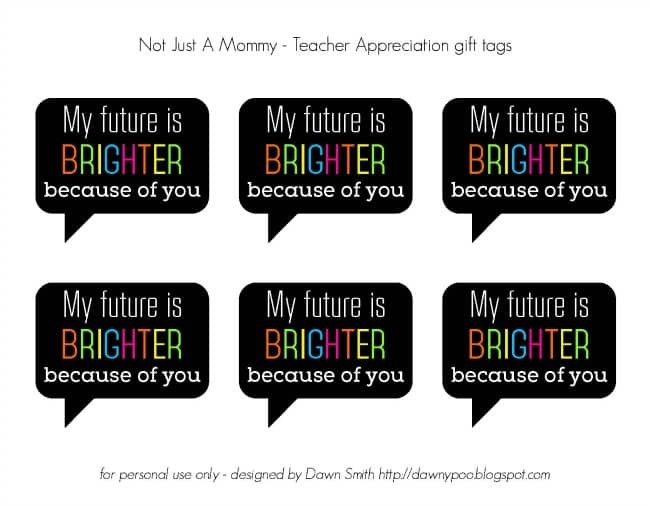 We’d like to send a big THANK YOU to Dawn of Not Just A Mommy for sharing these free printable tags with us. 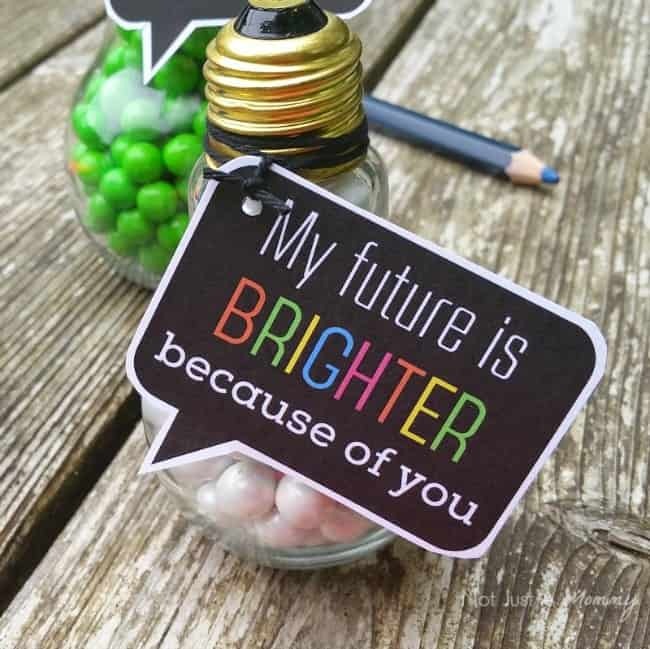 Do you plan on giving Teacher Appreciation gifts this year? Do you remember what you did for your child’s teacher last year? Over on Dawn’s blog you’ll find plenty of party inspiration for all of life’s celebrations – so many clever ideas that she makes easy to recreate for yourself! Her party ideas are always bright, colorful and cheerful! Be sure to follow her on Facebook, Pinterest and Twitter for even more creative ideas.